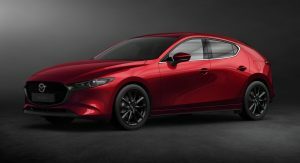 2019 Mazda3 Starts From $21,895, Tops Out At $29,795 For AWD In The U.S.
Mazda has finally shed more light into the eagerly awaited 2019 Mazda3, which will be launched in the U.S. this March in hatchback and sedan bodystyles. All 2019 Mazda3 models will be fitted with the 2.5-liter Skyactiv-G four-cylinder engine, rated at 186hp and 186lb-ft (252Nm) of torque. 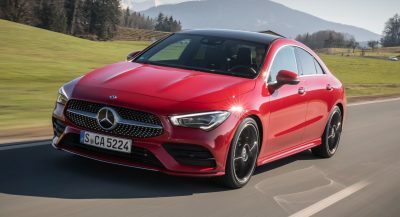 Paired to it is a six-speed manual transmission as standard, with customers given the option of a six-speed automatic as well. 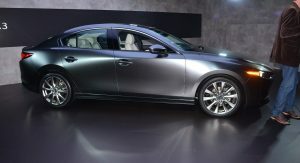 Both the hatchback and the sedan will be offered with the option of Mazda’s i-Activ all-wheel drive, only in this case, you’re limited to the six-speed automatic transmission only. 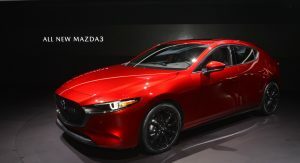 As standard, the 2019 Mazda3 Sedan -which starts from $21,895, including an $895 destination charge- will come with 16-inch alloy wheels, cloth seats, LED lights all around, keyless entry and the all-new 8.8-inch Mazda Connect infotainment system, among other. 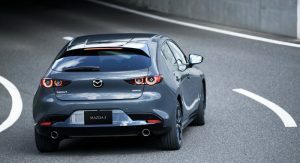 The base Mazda3 Hatchback is slightly more expensive, as it starts from $24,495, but it features 18-inch alloy wheels, a rear roof spoiler, Apple CarPlay and Android Auto, leatherette seats and door cards, automatic dual-zone climate control, rain-sensing wipers and more. 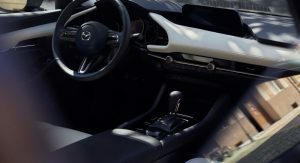 Mazda’s standard i-Activsense safety features include the new Driver Attention Alert, along with Smart City Brake Support, Smart Brake Support, Blind Spot Monitoring with Rear Cross-Traffic Alert, Lane Departure Warning with Lane-Keep Assist, High Beam Control and Mazda Radar Cruise Control. 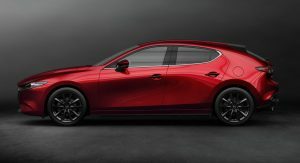 Mazda is also introducing new package options in addition to the standard trim levels. 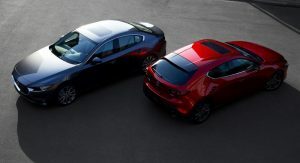 The Mazda3 Sedan will be available with the Select, Preferred and Premium packs, while the hatchback will offer the option of the Preferred and Premium packs. As you might have guessed already, the Premium pack represents the top of the line for the new Mazda3, adding features like windshield-projected Active Driving Display, leather seats, power moonroof, signature front and rear LED lighting and Adaptive Front-lighting System. That’s the top trim lol. The top Civic is the same price. Plus they’re moving up market. If Buick had a compact this would probably compete with it. I don’t think people realize how expensive cars have become over the years due to equipment creep. My loaded 2001 Civic EX was $15,500 (~$22k in 2018 dollars). Now you can’t even get a base trim that cheap. But then again, equipment levels have changed. 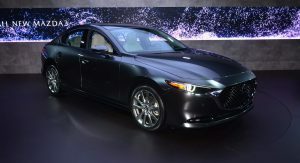 Power windows, locks, CD, cruise, key-fob entry, 16″ wheels, and sunroof were about it. 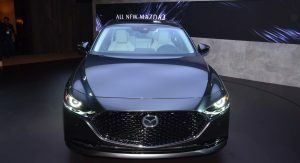 This new top-line 3 has city braking, blind spot monitoring, lane keeping assist, cross-traffic alert, auto headlights, auto wipers, adaptive LED headlights, leather interior, heated seats, dual climate control, 18″ wheels, key-less entry and start, an ~9″ LCD display with Android auto, and much larger engine with more powah. Factor in inflation, and I feel like the price is reasonable. About 5k for all that is money well spent in my book. it needs all these features because you cant see jack when you are behind the wheel. 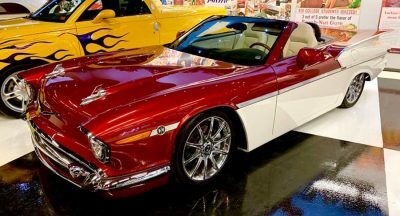 well not going to buy a new car ever, not because i cant afford it, but i rather put my money else where. Well then do just that. Why even comment? 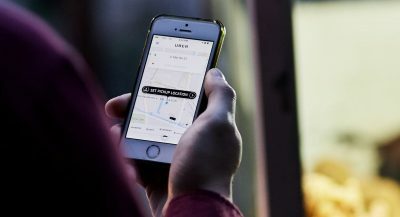 The costs of a car like the costs of everything else is going up. People demand more from a car than when you used to buy cars new. They still make used cars with great visibility just for you. You might just be on the wrong forum. So you’re not actually passing on this since you never intended on buying it? its not top if it doenst offer awd. awd only comes with AT (american transmission). at this rate i might as well get a higher segment car. 28k for a crappy hatchback is ridiculous. 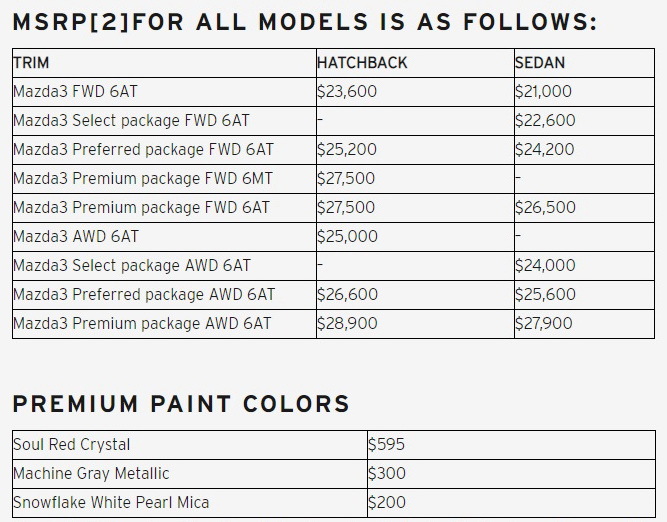 plus sedan doesnt offer MT in fwd or rwd. 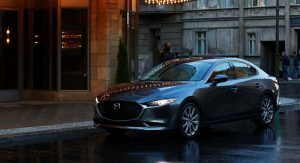 so where is the mazda sporty appeal? might as well go for a wrx at this price point, with more power awd and fun factor. 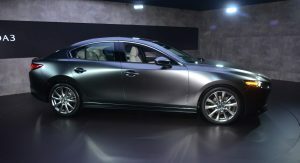 If you want luxury and tech features without paying luxury prices you get top trip economy car. 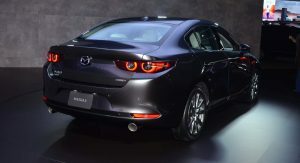 The great thing about Mazda is that you also get sportiness that compares to much more expensive rivals. this turd is automatic and not a dual clutch, they are pretty much openly killing the manual trans. enjoy your contentiously veritable pile of slow misery. 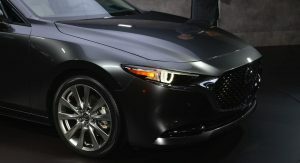 its the same segment, its a mid size sedan. 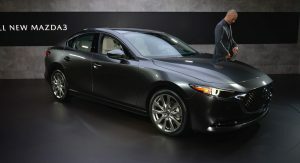 sorry if you want entry luxury you dont go to mazda. i love the brand and owned several cars including my fd but im not liking the direction they are taking atm. Agreed with your points 100%. 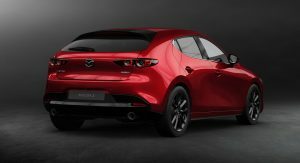 I think Mazda’s going in the right direction, and love they’re going upmarket. The exterior is really nice, but the dash is just a huge waste of real estate. Almost as bad as covering it all with a touch screen. Almost. What a sharp looking little car. I keep thinking that I’m going to take a look at the hatch and suddenly figure out what I’ve been missing. But no matter how many times I revisit the gallery, the end result is disappointment. 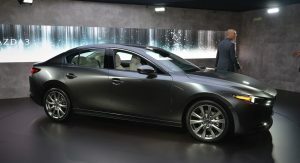 Mazda, I know you can do better. Have you seen it in person? I had reservations myself till I saw it at the LA Auto Show and I gotta say it’s a really does look nicer than most mainstream vehicles. It truly is a beaut. Review embargo lifts this Sunday. I can’t wait to see the car in action. You’re right, it’s offered on both. We’ve amended the article. Those prices are comparable to Mid Size Sedans these days. 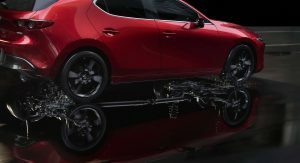 Why would you want to buy a cx-3 that is on the Mazda 2 platform? I’ll wait to see if they put the 2.5 turbo with AWD and a manual,or else I will just keep my Gen 1 Speed 3 till the next Generation Golf R arrives. 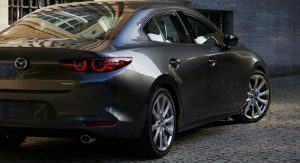 Adiós zoom zoom tired of waiting for a new Speed 3. It’s WAY overpriced and fugly in hatch form. They should’ve improved the 2.0 and made that standard in lower trims. 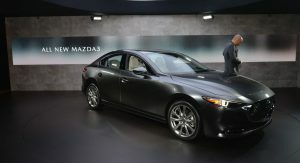 But not the “new Mazda”. It’s moving upmarket, and screw the former customers. 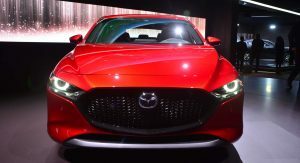 With intentions to compete with Lexus, this time using the Mazda name and not creating a luxury brand, which they tried and failed at back in the 90s due to total and complete lack of buyer interest. Sorry, but I’m LOL. Subaru, at least, is trying to increase market share by increasing the range of its products and NOT alienating current customers. Mazda should take note. It wasn’t actually lack of interest, it was the Japanese economy collapsed lol. 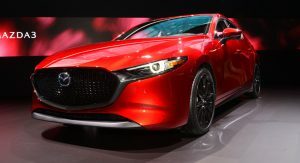 Mazda had a v10 car coming out that would of smoked a lot of things. Personally I think the hatch is the best looking C segment car I’ve ever seen. 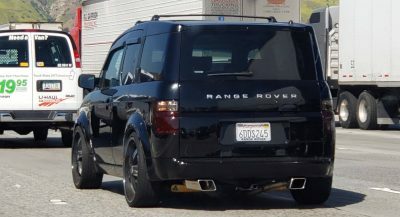 And owning a car with the 2.0 why would they put that in the lower trims? It’s too underpowered with it’s primary competitors now, and putting a turbo on it would of made it too expensive. 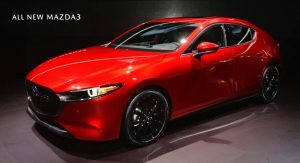 I like Mazda a lot, so if people don’t buy them because they are too expensive, we will see. However, maybe the Golf can touch the interior refinement? 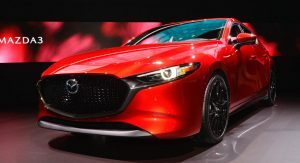 But then you are not getting Mazda reliability, these current drivetrains are insanely bulletproof. 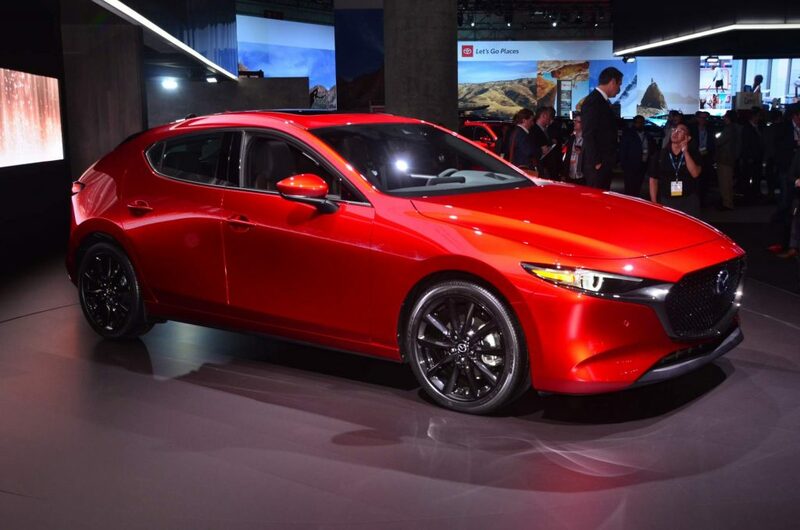 My biggest complaint is that they should of simply done a sport trim or select hatch with basics, and a stick to compete with the sport Civic hatch. Could of moved upmarket and competed in market . 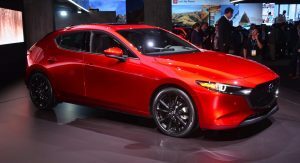 What about new gen skyactiv engines? 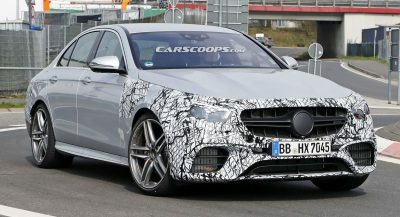 HCCI version included 2.5 liter engine?